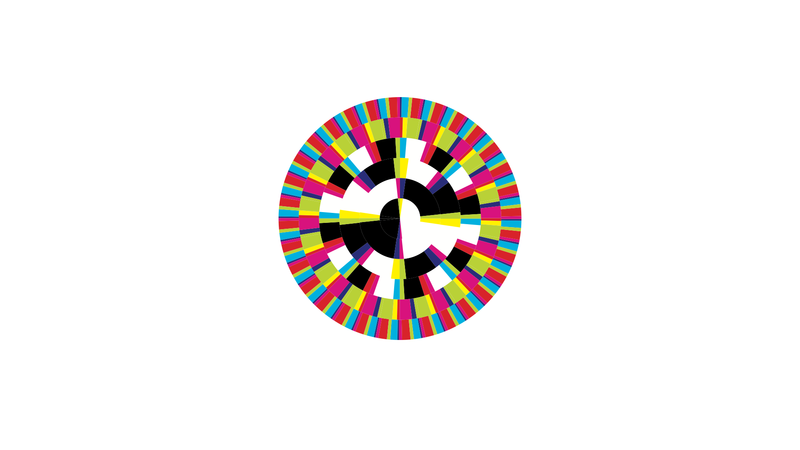 The symbol for post production company VCC is a play on a 19th century optical illusion. In the original, when you spin the black and white image, its colour components are revealed. The new design turns this on its head. When the symbol is static – on printed collateral, for example – all its colour components are visible. When it is animated – on video or film – it reverts to black and white. Thus, the design solution has double the resonance: the original illusion is possible because of the way the eye and brain work together, a phenomenon that made the invention of film and tv possible. A post production house, however, offers film-makers the ability to change reality and manipulate perception. The identity was developed in conjunction with Berg Klemm Pfuhl and applied to video, DVD, CD, stationery and promotional materials.